“To manifest the redemptive love of Jesus to all humankind” is the charism of the congregation of Missionary Sisters of Mary Immaculate (MSMI), that Msgr C.J Varkey its founder, entrusted to it. It is a women religious congregation, belonging to the Syro-Malabar Church. It was founded on 8th September 1962 at Kulathuvayal in the then diocese of Thalassery, Kerala, India. It is a pontifical congregation. 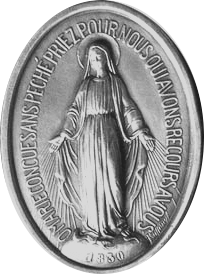 Miraculous Medal of the Immaculate Mary is the specific sign of the Missionary Sisters of Mary Immaculate. Throughout their history, their mission has been to share in the mission of the Church by working as educators in the faith. In all their apostolates whether family apostolate, Proclamation of the Word of God, Parish activity, Jail ministry, Health care, Prolife activities, School, Press or other works of missionary outreach they serve along with their collaborators through educating hearts and minds and building communities of the coming Kingdom. MSMI Generalate is located at a sprawling beautiful location at Chembra near Perambra in Calicut district of North Kerala, India. Today the congregation of Missionary Sisters of Mary Immaculate is blessed with about 800 professed sisters in 144 houses under 4 Provinces, and a mission region with its presence throughout India and abroad. MSMI Associates is an association of laity working in association with the sisters of MSMI. The congregation is presently under the leadership of Rev. Dr. Sr. Little Flower MSMI, the 9th Superior General of the congregation. Along with her council she oversees the 4 provinces and the mission region.